(CBS/AP) Prince William, the Duchess of Cambridge and Prince Harry dropped in on the British Olympic team's official residence to wish them good luck and to admire swimmer Rebecca Adlington's bronze medal. Tuesday's royal visit caught dozens of athletes by surprise. Adlington, who has a passion for fashion, told the duchess she loved her navy wedges and kept gushing about them afterward. "I just love her shoes. They're much nicer than the sports gear we're wearing this week," said Adlington, who took bronze in the 400-meter freestyle. 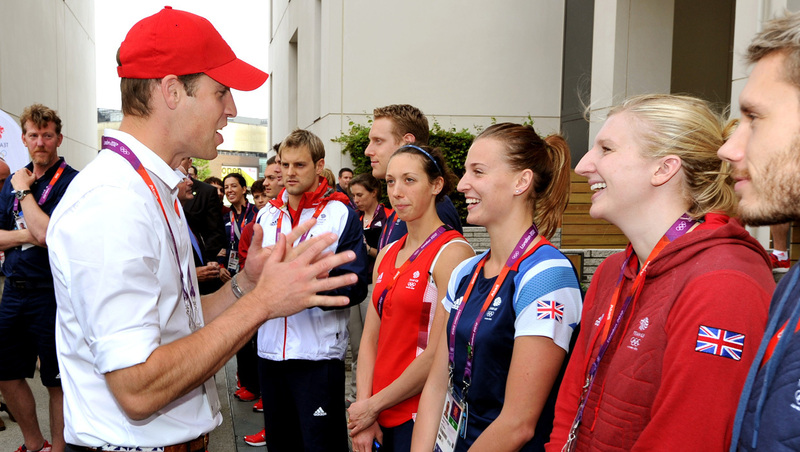 William and Harry, both wearing white Olympics shirts, toured the quarters for the women's handball players. Harry joked that his brother didn't know the rules, but William said he'd been reading up on the sport.